Marian Anderson (Feb. 27, 1897–April 8, 1993) was one of the great voices of the 20th century and the first African American to perform with the Metropolitan Opera in New York. 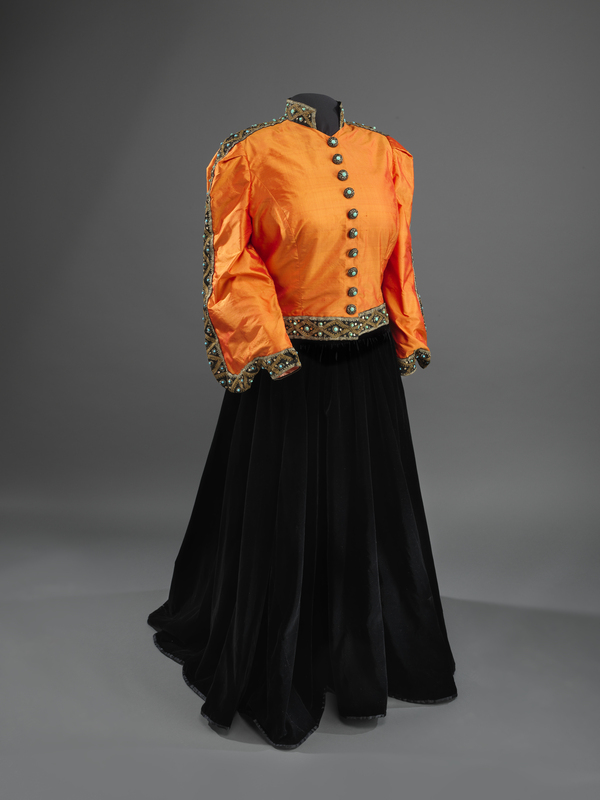 The Anderson ensemble consists of a black velvet skirt and an orange shantung silk jacket with decorative trim. The skirt and decorative trim (collar, buttons, button placket and cuffs) are original to the outfit that Anderson wore when she performed at the Lincoln Memorial in 1939. The original orange velvet jacket was redesigned with Anderson’s permission into the shantung silk jacket in 1993. Throughout the years, Anderson’s powerful contralto voice and unmatched abilities made her a star in Europe. Despite her accomplishments, Anderson still encountered racism and prejudice in the United States. In 1939, the Daughters of the American Revolution refused to let her perform in Constitution Hall because of her race. It became a national story when First Lady Eleanor Roosevelt publicly resigned her membership in the organization. In response, NAACP Secretary Walter White and Secretary of State Harold Ickes with the support of President Franklin D. Roosevelt arranged for Anderson to give a public concert outdoors on the steps of the Lincoln Memorial on Easter Sunday. On April 9, 1939, at 5 p.m., Anderson sang on the steps of the Lincoln Memorial in front of 75,000 attendees and a radio audience of millions. Anderson continued to break down barriers for African American singers when she became the first African American, male or female, to perform with the Metropolitan Opera in New York Jan. 7, 1955. She was later named a permanent member. The silk jacket and velvet skirt are on exhibit at the Smithsonian’s National Museum of African American History and Culture. The items were a gift from Ginette DePreist in memory of conductor James DePreist, the nephew of Marian Anderson. Sandra Day O’Connor is the first woman to be sworn in to the U.S. Supreme Court, where she served from 1981 until her retirement in 2006. 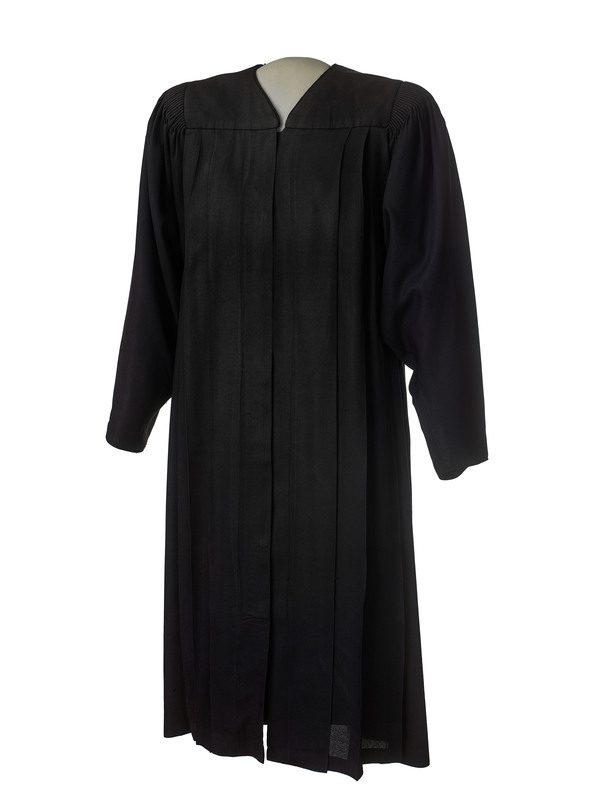 The black court robe in the Smithsonian’s National Museum of American History’s collection was worn by O’Connor when she was sworn in Sept. 25, 1981, by Chief Justice Warren Burger. O’Connor’s law career began when she graduated from Stanford Law School 1952, only two years after she began her studies. After she graduated, O’Connor had a difficult time finding a job because law firms were unwilling to hire a woman. She worked as a deputy county attorney in San Mateo, Calif., and later moved to Germany with her husband, John Jay O’Connor III, and became a civilian attorney for the Army’s Quartermaster Corps where she worked from 1954 to 1957. In 1965, O’Connor became an assistant attorney general of Arizona, a position she held until 1969 when she was appointed to fill a vacant seat in the state senate. She won the seat in her own right the next year and by 1973 became the first woman to serve as the majority leader of a state senate. O’Connor served two full terms in the senate and was then elected to the Maricopa County Superior Court in 1974. She was elevated to the Arizona State Court of Appeals in 1979 where she served until her Supreme Court nomination. In 1981, President Ronald Reagan nominated O’Connor for a vacant seat in the U.S. Supreme Court. She was officially sworn in Sept. 25 of that year to become the first woman justice. O’Connor served on the Supreme Court for 25 years, retiring in 2006. In 2009 she founded a nonprofit, the Sandra Day O’Connor Institute, which works to solve public issues through collaboration. She also directed the creation of a website that uses interactive lessons and games to teach students about civics. O’Connor was awarded the Presidential Medal of Freedom Aug. 12, 2009, by President Barack Obama. O’Connor donated the robe to the museum in December 1985. Sally K. Ride became the first American woman in space in 1983. She was one of six women selected to enter the astronaut core in 1978. While all six women flew on space shuttle missions, Ride was the first selected to go into space. As a mission specialist on the seventh space shuttle mission, she operated a variety of orbiter systems and experiment payloads. She participated in the launch of two commercial communications satellites and also operated the remote manipulator system arm to maneuver, release and retrieve a free-flying satellite. 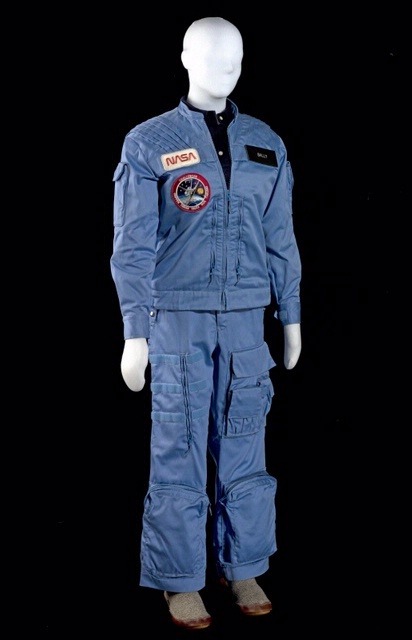 Ride wore these clothes during the six-day STS-7 space shuttle mission aboard Challenger in June 1983, when she became the first U.S. woman in space. The early shuttle mission astronauts had a NASA-issued wardrobe of identical blue cotton-blend jackets, trousers, shorts and knit shirts with attached NASA logo and mission patches. Ride presented her in-flight suit to the Smithsonian’s National Air and Space Museum in a ceremony shortly after the STS-7 mission. It can be seen on display in the museum’s “Moving Beyond Earth” exhibition. Ride felt responsible for paving the way for women in space. Her performance and skill, alongside her four male crewmates, made her a symbol of equality. The orange-and-black velvet ensemble Marian Anderson (1897-1993) wore during her Easter Sunday performance on the steps of the Lincoln Memorial in 1939. Collection of the National Museum of African American History and Culture. Gift of Ginette DePreist in memory of James DePreist.